The Hunt House Fine and Custom Jewellers is proud to be an independent company that is located in Huntsville, Ontario. Having a full service jewellery workshop on site allows us to accommodate whatever your needs are. 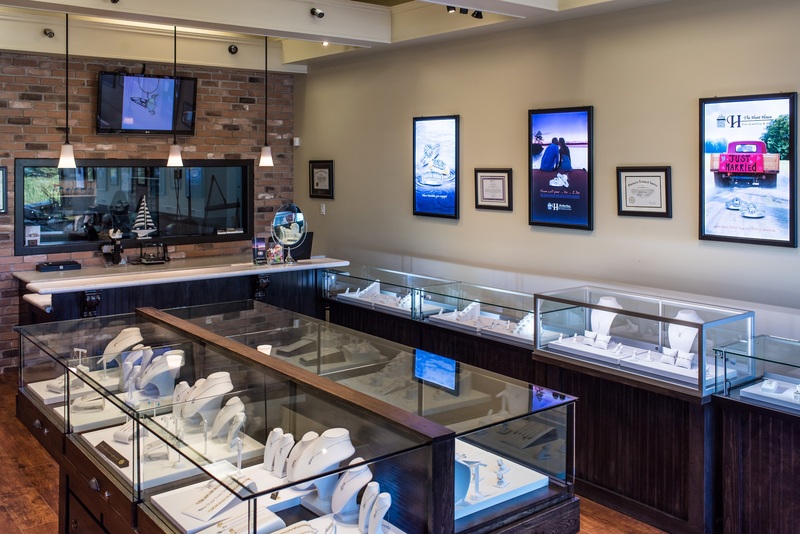 From the perfect engagement ring, the most romantic anniversary gift, the best birthday present , we are here to help you with all your celebratory needs. We seek to create an easygoing and friendly experience, while developing loyal and completely satisfied customers and friends for life. With our capacity to custom design, manufacture or repair jewellery , we enable our customers to possess the jewellery they will enjoy for years to come. We are constantly creating new and exciting pieces so please come in to see our amazing selection of fine jewellery, where you will find something perfect for that special someone.